Kotelny Island is a nondescript piece of frigid wasteland of no particular note. 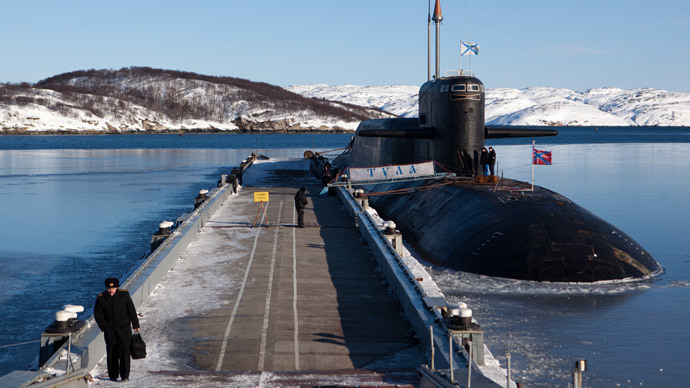 Except hosting a military base-in-the-making, the first of many from which Russia plans to project its military might to and across the Arctic. RT visited with the Navy. The island is the largest in the Novosibirsk Archipelago, located in the Laptev Sea off the eastern Siberian coast. Back in the soviet days the military deployed an observation post and a radar station on the Kotelny Island, but with the fall of the country all the troops were withdrawn, leaving behind only a civilian meteorological station. But now, after decades of desolation, the former military base is being rebuilt. Last year sailors and engineers of the Russian Northern Fleet began construction works, cleaning up rusty barrels and broken vehicles abandoned on the island and constructing a landing strip so that supplies could be airlifted rather than air-dropped. Now the Temp base, which is still mostly a couple of buildings and rows of temporary winter tents, has become the new home for the 99th Arctic tactical group, the Navy’s permanent unit serving at the hostile land. There is virtually not a tree on the island, much of which is a flat rocky bed of pebbles covering a layer of permafrost. 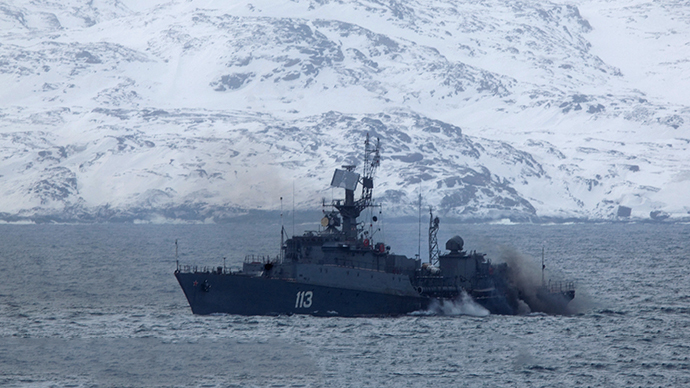 An RT crew is traveling with a fleet of warships and support ships that delivered the troops and their military hardware, including brand new armored vehicles, to Kotelny. The military men say they are determined to deal with the hardships Arctic will deal them. “The conditions are certainly harsh, but we are coping. 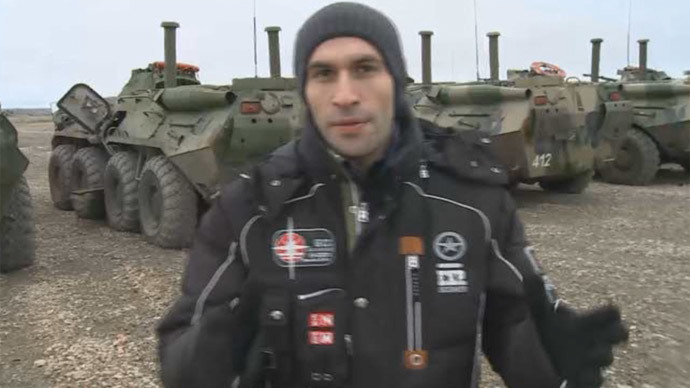 We have housing and equipment, so we’ll survive just fine,” Yuri Popov, an engineer with the 99th told RT’s Murad Gazdiev. The Russian Defense Ministry had big plans for Kotelny. A new pier will be soon built to dock medium-sized vessels, which would make supply runs that much cheaper during the summer navigation. The runway would be extended and strengthened to serve heavier aircraft, including heavy transport planes and strategic bombers. Manning all the new installations would require additional personnel, and a new city for the troops and their families is now being built several kilometers from the Temp. With the Arctic becoming warmer and its natural riches more accessible, leading nations are eager to get their share of the pie. Thanks to its geographical position Russia will get the biggest slice. 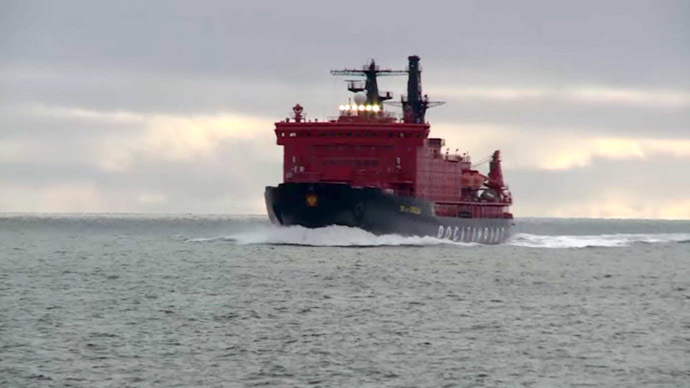 And it’s not sparing any expense to add a military backing to its economic claim, especially since it has an edge due to experience and the world’s best fleet of icebreakers.